In the spirit of sharing the glory of my grub with the world – or at least the somewhat more photopalatable of grub – here goes. Falafel is falafel. Always has been and always will be. Falafel. As if the animosity between Arabs and Jews did not have enough fuel, both sides have dragged the eternal into the fray with both sides of the gastronomical divide claiming ownership of this humble concoction of deep fried chickpeas, sesame seeds, and little bits of other things in the recipe I swiped (below). Having eaten it on both sides of the ugly family feud more times than I can count I can but arrive at one, maybe profound, insight into the soul of falafel. Falafel was not invented. It was discovered. Like the wheel and the lightbulb. Would something round not had rolled wheel-like well before the advent of man? And would a charge of electrons through a resisting medium not created light all by itself? The light from lightening itself clues us into that physical law. The concept had always existed and was just waiting to be stumbled upon. And as with all discoveries (and inventions for that matter) if one person hadn’t, then another would have, sooner or later. Falafel has to be. It was meant to be. It cannot but be. It is a physical law waiting to be found. It is not an invention or a creation. It exists as its own entity. 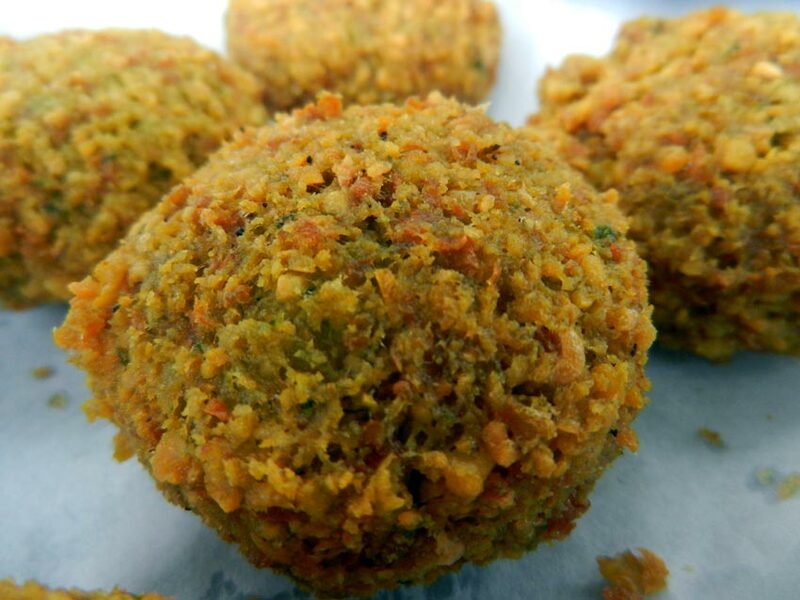 Falafel cannot not be and as such it cannot be that it didn’t exist. And as an existence in it’s own right nobody invented it and no one culture can lay claim to it – stubborn, cunning and manipulative as both sides of the divide are. It exists beyond, above and apart from all men in their lowly mighty understanding of themselves. Falafel is itself. It always has been and always will be. Below is a recipe I might have swiped from here. The same page includes an interesting article about the origins falafel and it sites The Encyclopedia of Jewish Food as tracing the origins of the falafel to Egyptian Copts – that is Egyptian Christians. It goes on to say that the appellation is derived from Arabic but Israeli falafel is made from chickpeas. Here are the ingredients and the full recipe is here. 1 pound (about 2 cups) dry chickpeas/garbanzo beans – you must start with dry, do NOT substitute canned, they will not work! This entry was posted in Uncategorized and tagged Food by stujinnes@gmail.com. Bookmark the permalink.